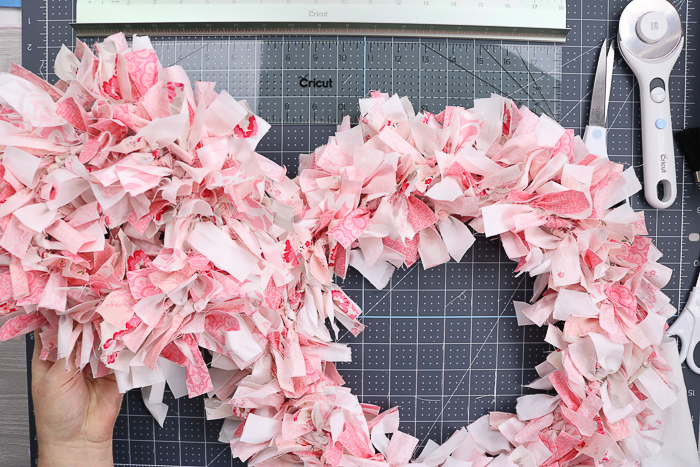 Making a rag wreath is even easier when you use Cricut hand tools. 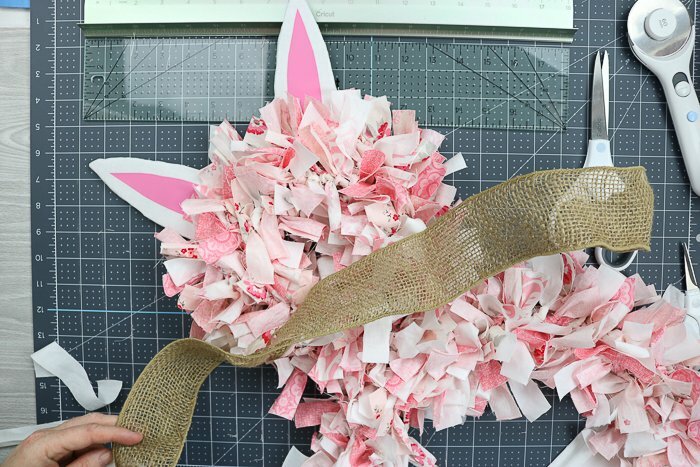 You can make this rag wreath tutorial in a bunny shape as shown or just a round wreath for any time of the year. 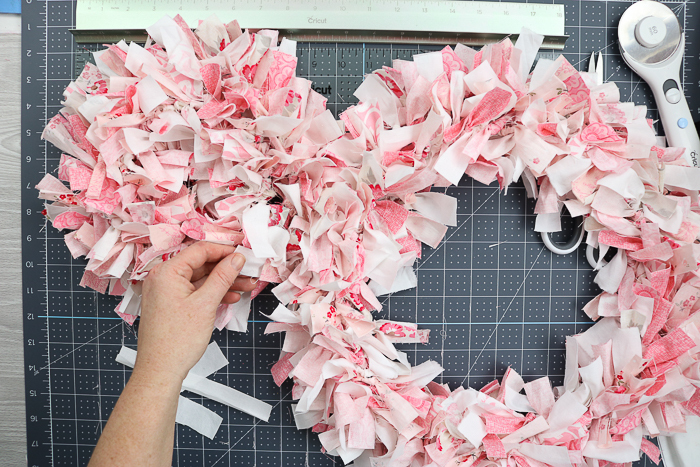 Once you learn how to make a rag wreath, you might just make one for every season of the year. 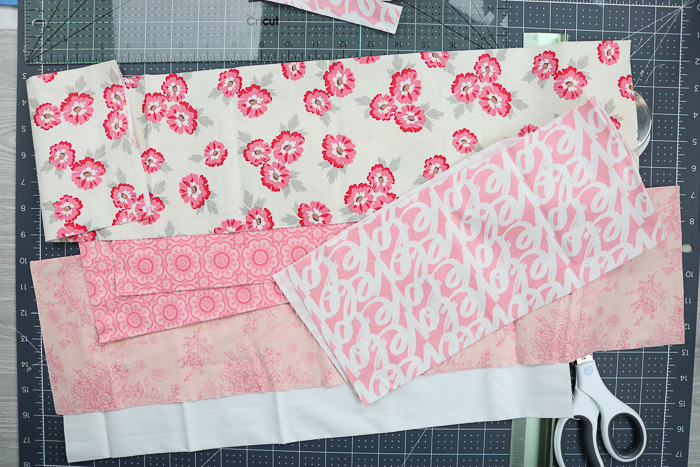 This is also a fantastic way to use up fabric scraps so start saving those from all of your projects! 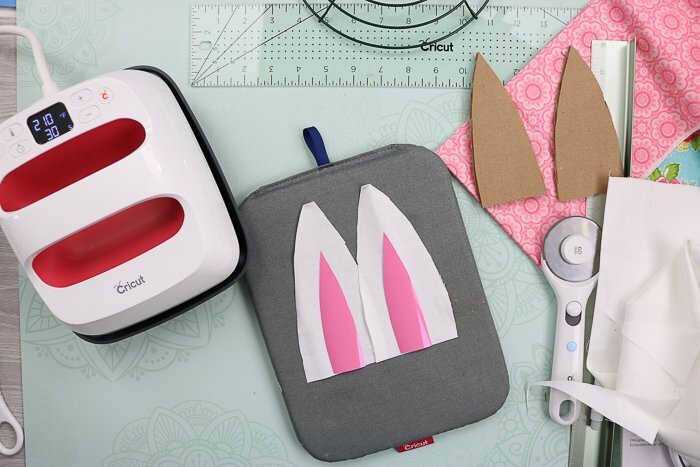 Cricut TrueControl Knife – Get better control and amazing precision all out of a craft knife. I love the ergonomic feel of this knife and also the blade changing system where you never have to touch the blade. Also, y’all it does not roll! If you think a craft knife is a craft knife, think again! 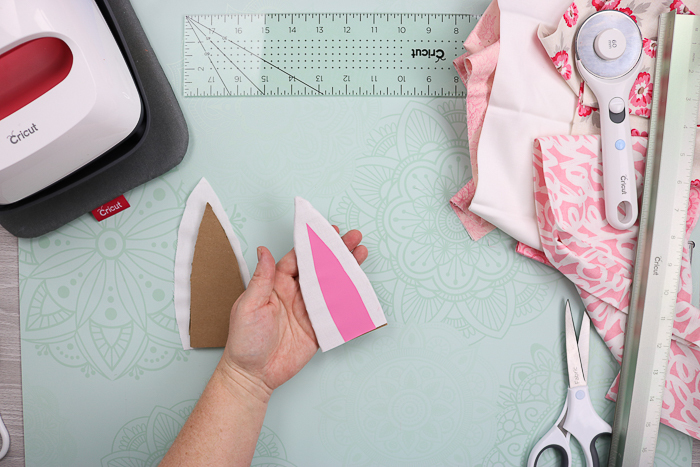 This one will change your crafting life for the better. 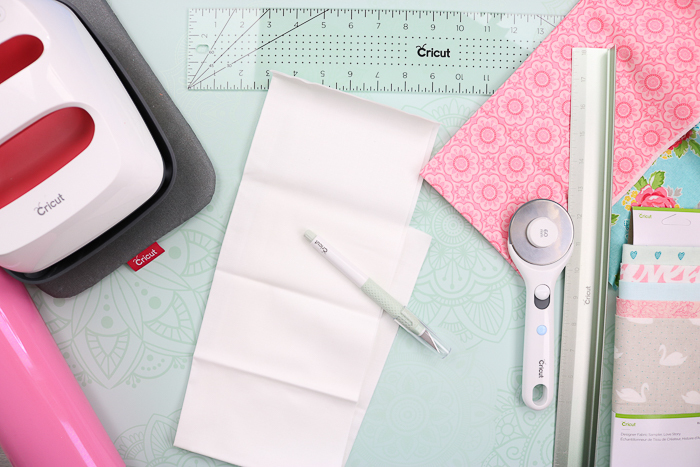 Cricut Self-Healing Mat – These doubled sided mats are gorgeous on one side and have a great grid pattern for measuring on the other. A self-healing mat is a must in any craft space in my opinion and this is a gorgeous as well as a useful addition. 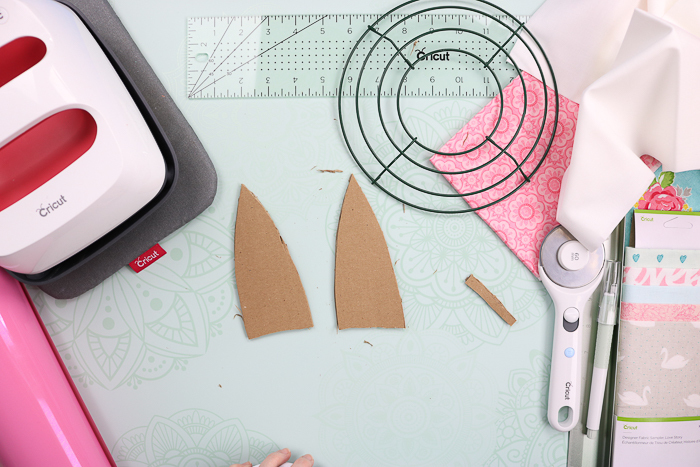 60 mm Cricut Rotary Cutter – Symmetrical for both left and right-handed users. A sliding cover with a quick-release button helps to cover your blade when not in use. 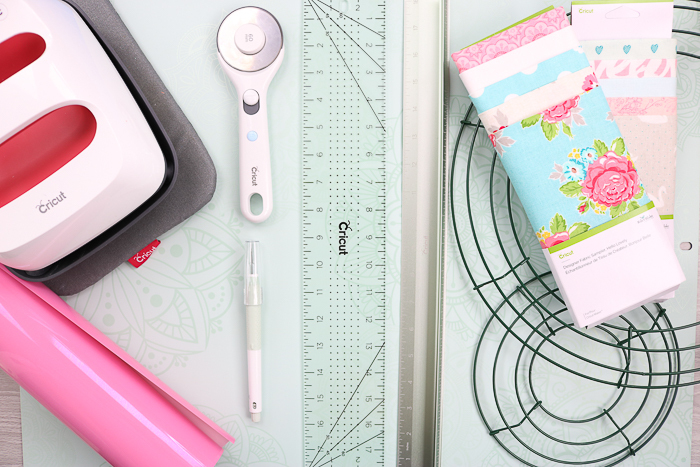 Cricut Cutting Ruler – The absolute best thing about this ruler is the protective guard that shields your hands from sharp cutting tools. You will also love the nonslip base that helps keep this one in place while cutting a wide range of materials. 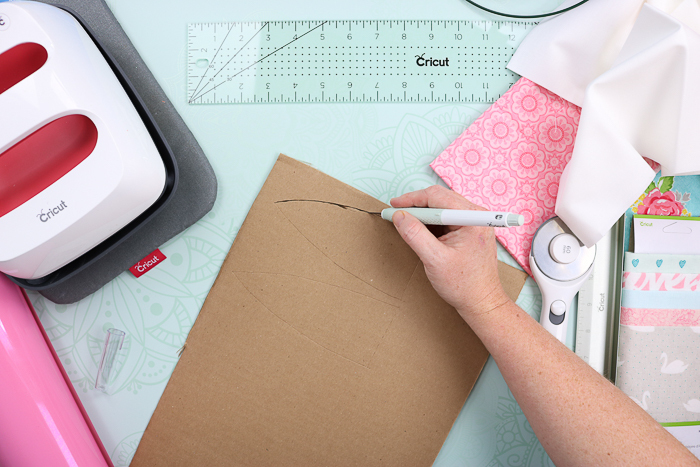 Cricut Acrylic Ruler – This is another must in my craft room. A see-through ruler like this one makes measurements super easy and the measurement marks in 1/8″ increments help make precision cuts easier! 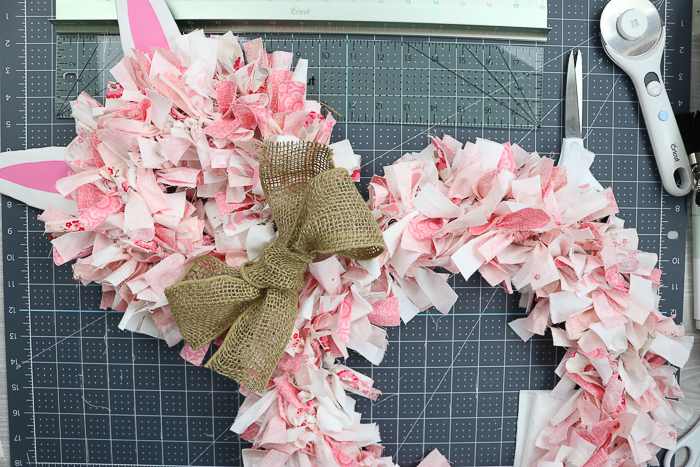 I thought I would share this tutorial for how to make a rag wreath with a quick video tutorial below. Y’all enjoy! Can’t watch the video or missed some of the steps? Be sure to follow along with the step-by-step instructions below. I actually made the ears first then made the rag wreath itself. 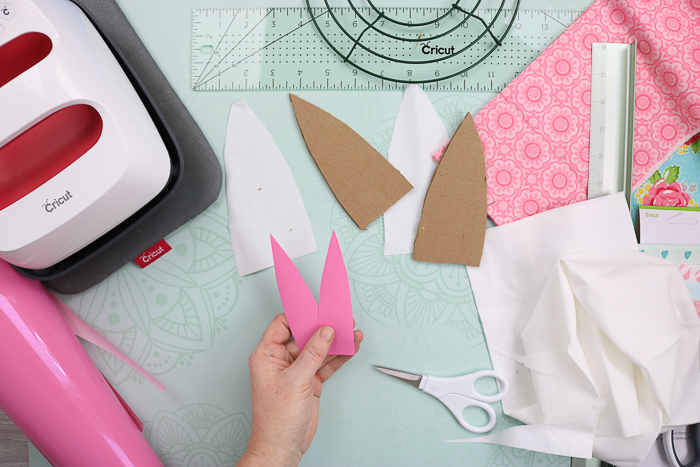 Cut cardboard with the TrueControl knife into the shape of a bunny ear. 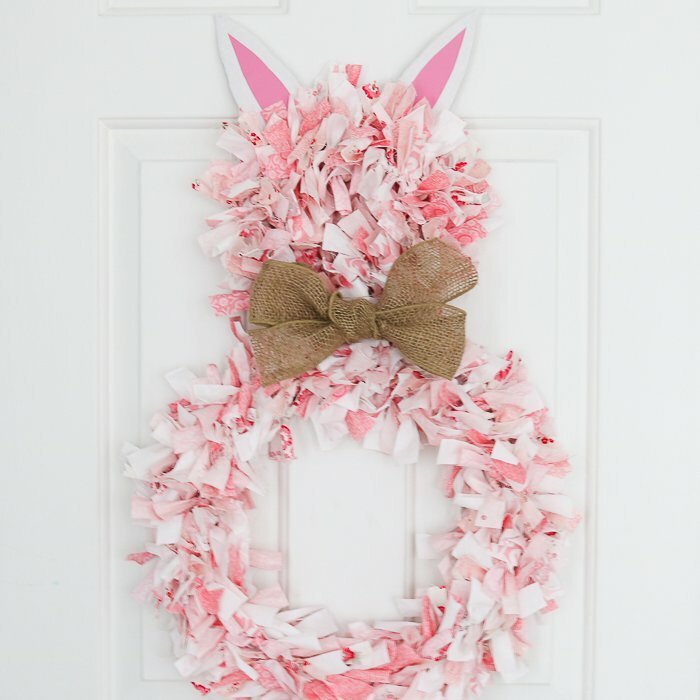 You just need the ears to be proportional to whatever form you are using for the head portion of the wreath. Cut two identical ears from the cardboard. 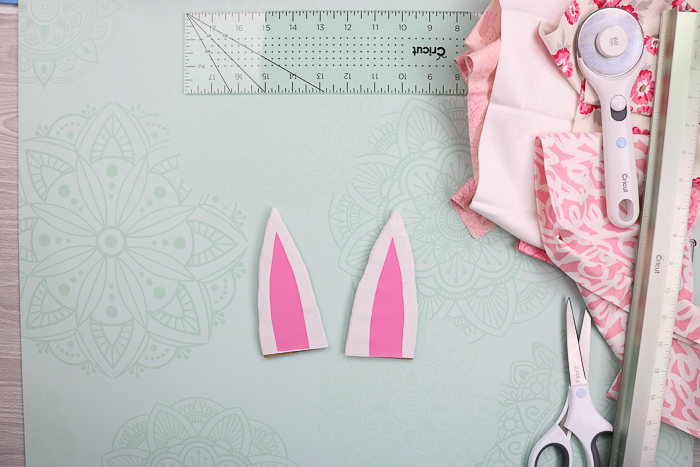 Then cut white fabric slightly larger than each of the ears with fabric scissors. 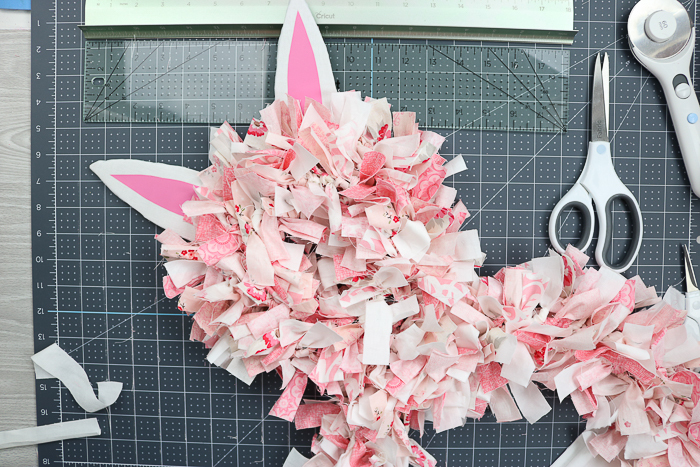 We are also going to add a center to each of the ears and I am using pink Cricut Iron-on to do so. I just cut it to size with a pair of scissors. Again, you will need two identical pieces. Then place the white ears on the EasyPress mat with the iron-on on top of them. 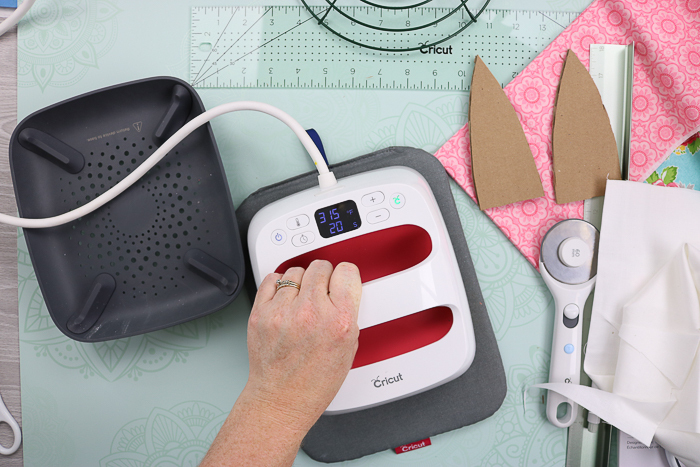 Press for the recommended time and temperature according to the Cricut Interactive Guide. 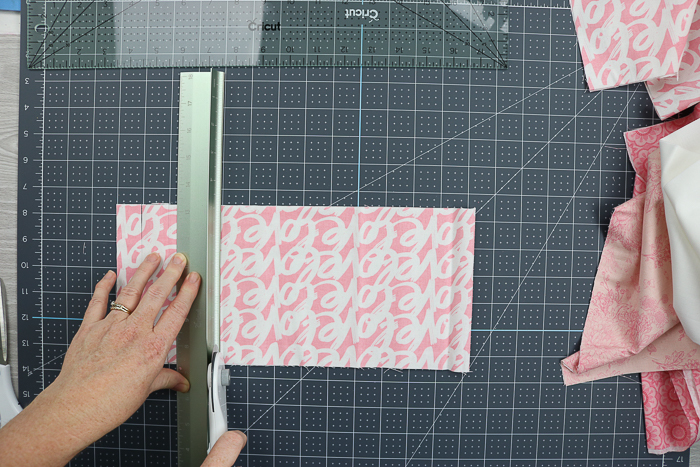 You can read all about how to use the EasyPress for projects like these here. Once the press is complete, remove the carrier sheet from both ears. Now turn over the white fabric piece and place the cardboard on top. 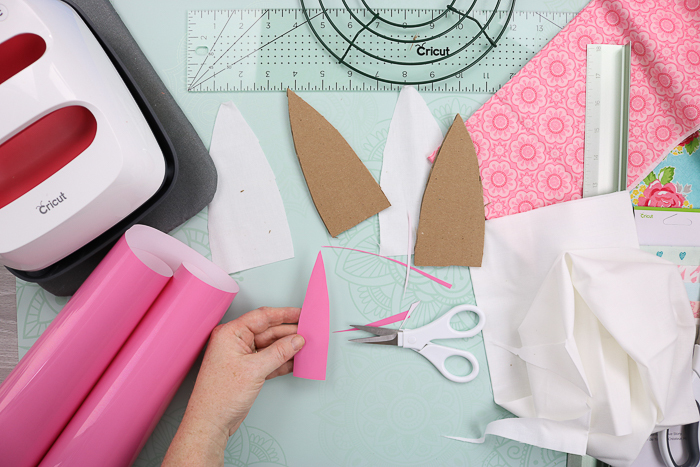 Use hot glue to wrap the white fabric around the cardboard ear. The back of the ear will be against your door so it is not required to finish the back but you can add another piece of fabric if you would like. At a minimum, your ear should look finished from both the front and the sides. Finish both bunny ears before continuing. Now we need to complete the rag wreath. You will need several fabrics. I used white and several different shades of pink. You can pick whatever colors you like. 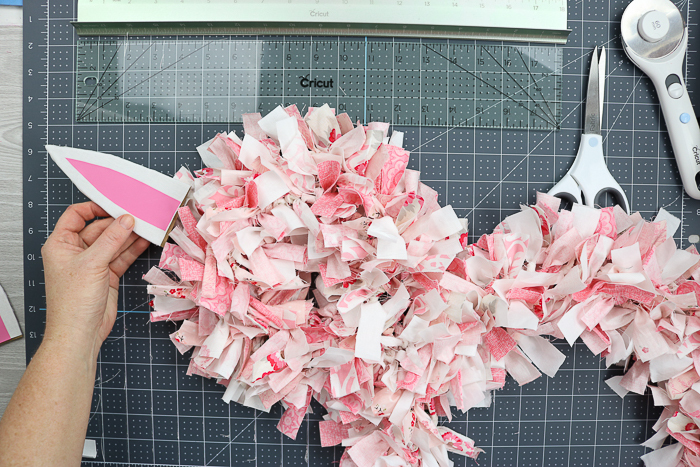 This is a great project for using up scraps. 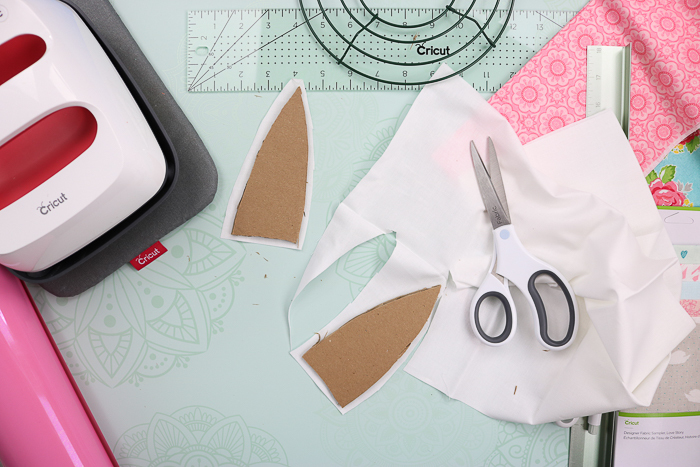 First, measure the fabric to determine your cuts. You can use the acrylic or cutting ruler. 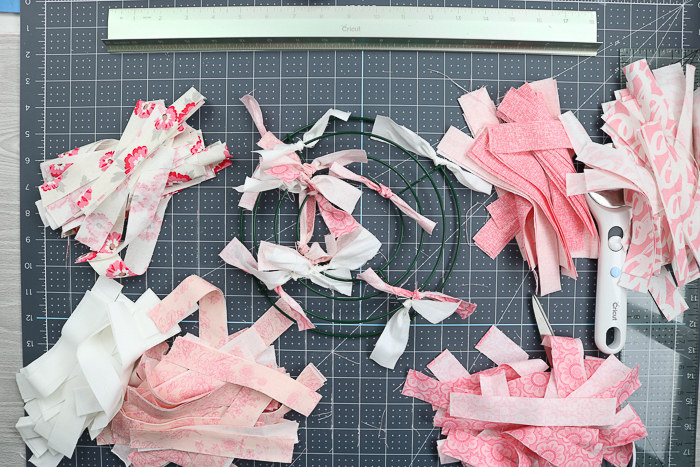 You will need to cut your fabric into approximately 1 x 6 inch strips. 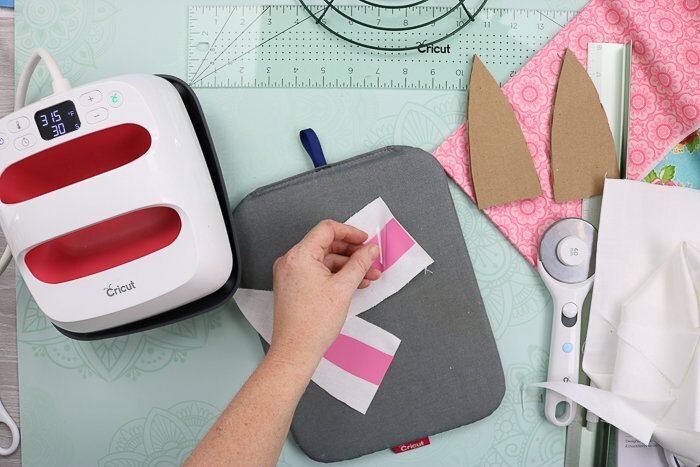 Pull back on the button to reveal your rotary cutter. 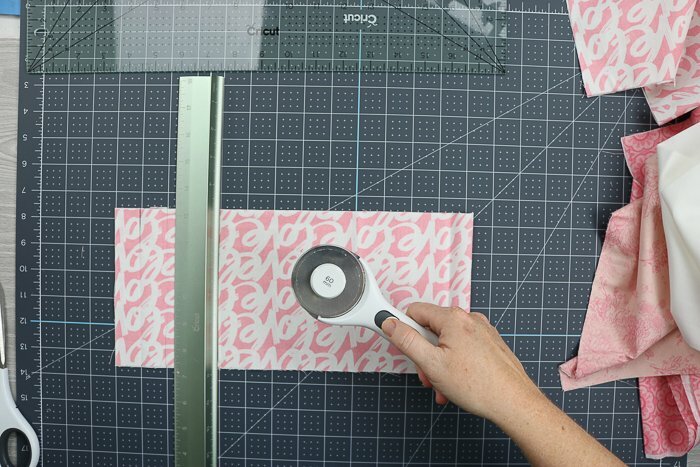 Then use the rotary cutter to cut your fabric. 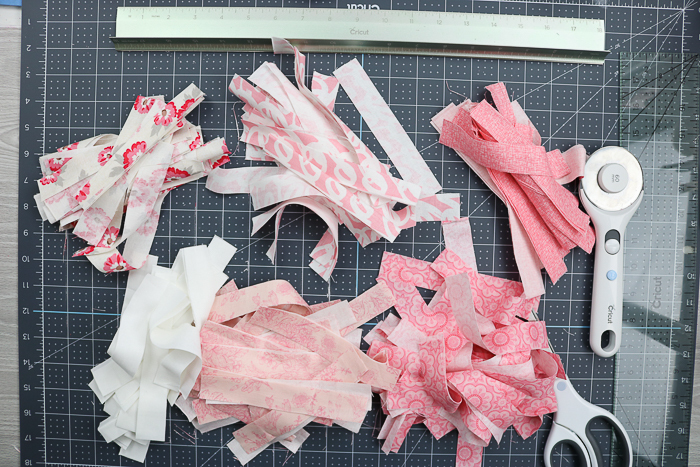 I started by cutting my fabric into long 6 inch strips then cut those into 1 inch pieces. Use the back of your self-healing mat to help with guidelines and one of the rulers to guide your rotary cutter. 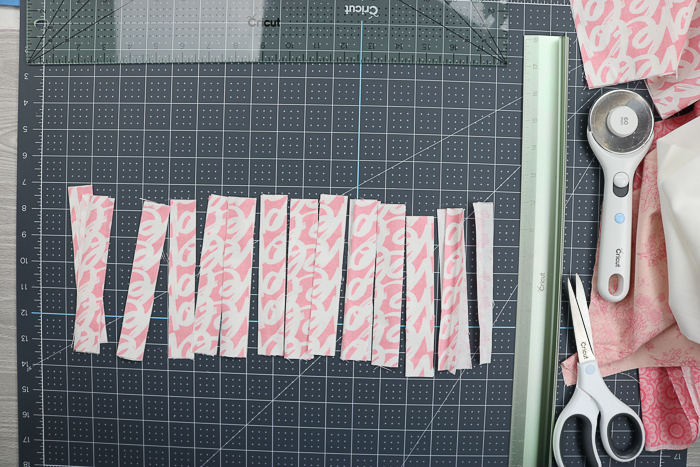 You can cut several thicknesses of material at one time making the process of cutting fabric strips quicker. Continue until you have several piles of strips from different types of fabrics. Then start tying the strips onto your wreath. These look better random so be sure to vary the strip locations around the wreath. Continue tying and filling both wreath forms until you are happy with the look. This will take a while so put in a movie and tie while you watch! Then you want to tie the two wreaths together with a few extra strips of fabric. Just thread these strips through the bottom of the head and the top of the body wreath. Once everything is tied together, use additional hot glue to secure your ears into place. Tuck the ears into the wreath a little when gluing so that the bottom is not visible. I felt that my rag wreath needed a little something else so I added a burlap bow around the neck. This is optional. Tie into a large bow and cut off any excess. 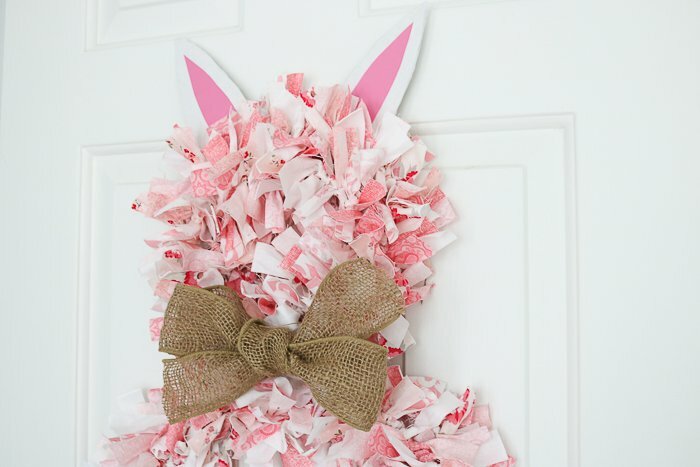 Then just hang your rag wreath on your door and celebrate Easter in style! 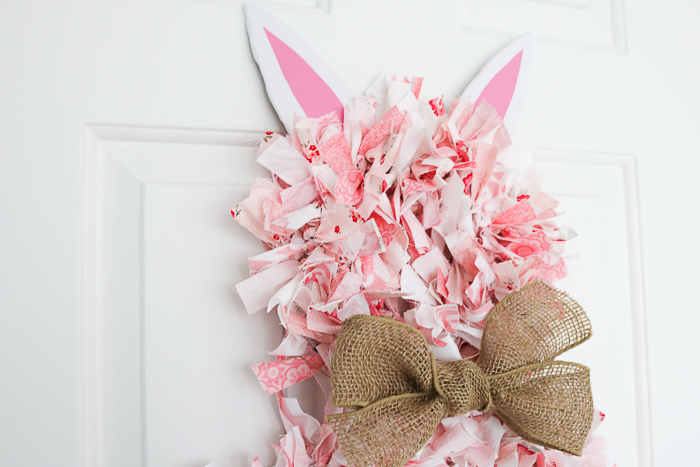 Now that you know how to make a rag wreath, you can change this up for every season! 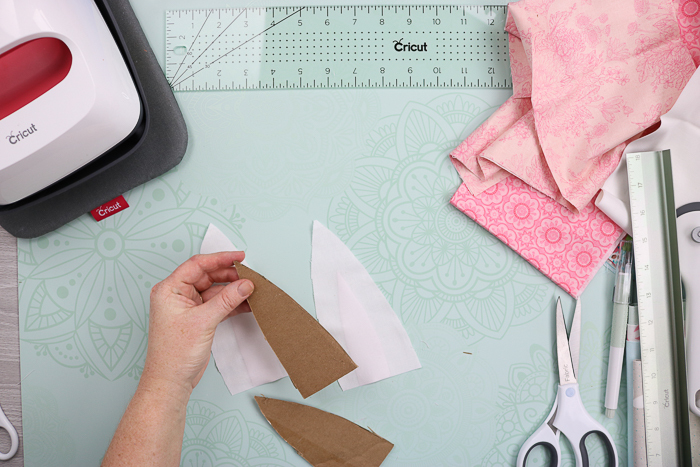 Be sure to save all of those fabric scraps. 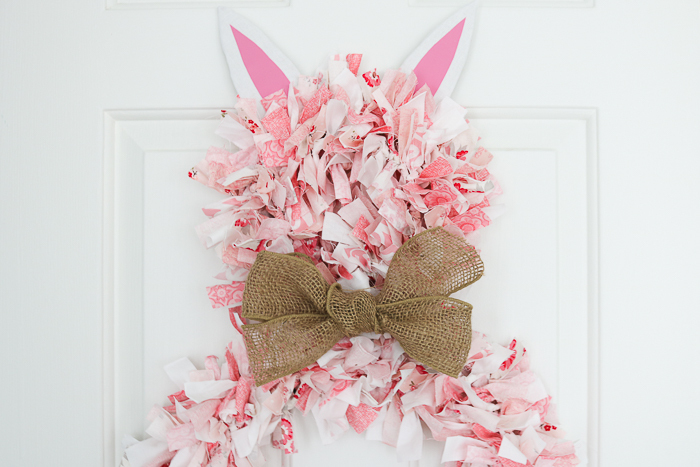 A rag wreath DIY is just what you need to bring a little spring to your home! I love how this bunny turned out and I think you will love it as well! 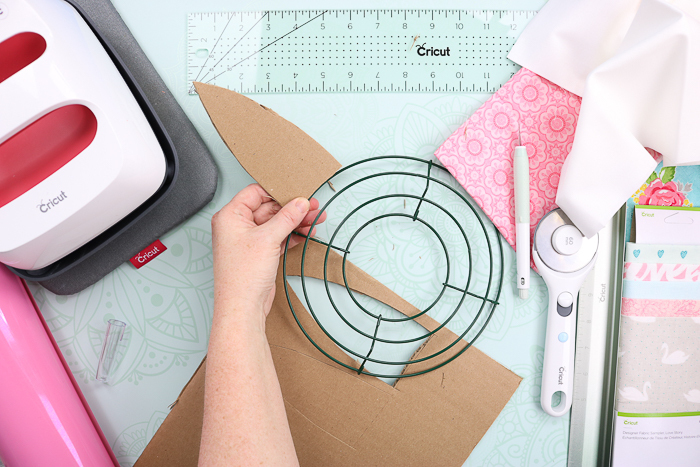 Using the Cricut hand tools makes a rag wreath tutorial like this one even easier. 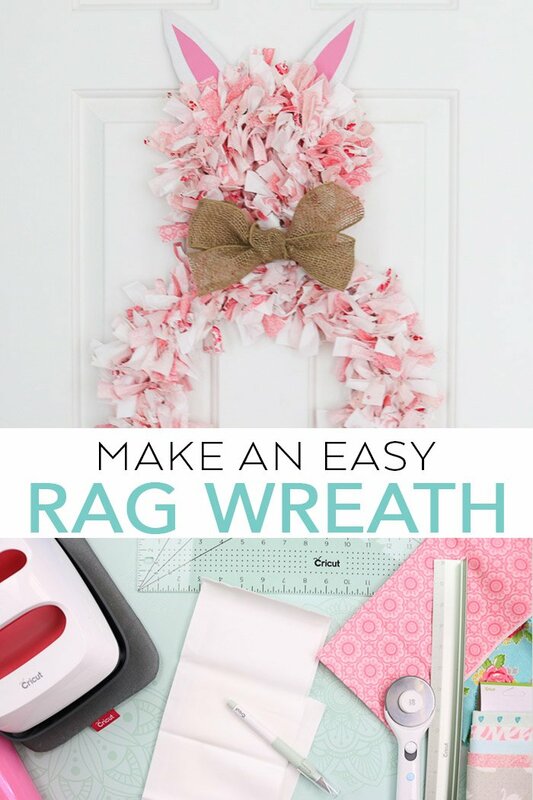 Y’all enjoy and share this post with your friends if you think they would like to see how to make a fabric rag wreath as well. 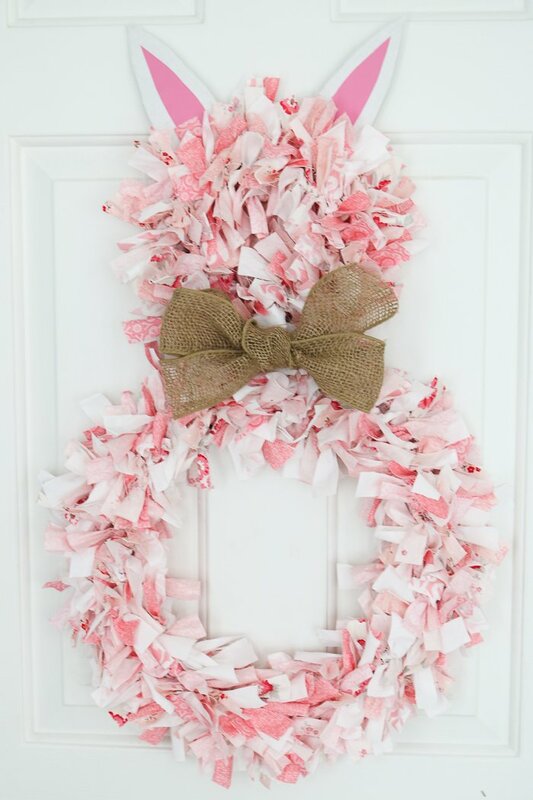 Love this rag wreath tutorial and want more great ideas? Try the links below!